Fibonacci was born about 1170 in Pisa, Italy. He spent some of his youth in Algeria, where his father, a government official of Pisa, worked at a customs home. There he received mathematical training from North African scholars. Little is known of his early adult years except that he traveled extensively through several Mediterranean regions, observing various mathematical methods of commerce and consequently becoming fluent in the use of Arabic numerals (the familiar numerals used today: 0, 1, 2, 3, 4 . . .). Settling in Pisa about 1200, Fibonacci began writing his first work, the Liber Abaci (“Book of Counting”), which appeared in 1202. In it, Fibonacci described the Arabic numeral system, explained how to use it, and presented numerous examples demonstrating its superiority over the traditional system of Roman numerals. The book also contained studies of algebra, fractions, prime numbers, multiplication tables, commercial applications of mathematics, and series. The section on series included what is now known as the Fibonacci sequence, in which each term equals the sum of the previous two terms: (1, 1, 2, 3, 5, 8, 13, 21 . . .). Fibonacci’s next work, Practica Geometriae (“Practice of Geometry”), was published in 1220. It addressed arithmetic and geometric problems with algebraic methods. Fibonacci’s writing attracted the attention of Holy Roman Emperor Frederick II, who summoned the mathematician to his court and presented several problems to test his skill. One problem demanded the solution to the equations: x2 + 5 = u2 and x2 ­ 5 = v2. Fibonacci delivered an answer: Problems of this type are called diophantine equations, defined as indeterminate equations (those with more than one solution to unknowns) for which rational solutions are sought. Such equations take their name from third­century Greek mathematician Diophantus. In 1225 Fibonacci’s Liber Quadratorum (“Book of Squares”), which dealt exclusively with diophantine equations, was published under the patronage of the emperor. Fibonacci died about 1250 in Pisa. Fibonacci’s most lasting legacy was the spread of Arabic numerals throughout the West. His work also influenced Renaissance mathematicians. Although Fibonacci was not the first to introduce Arabic numerals to Europe, his Liber Abaci was responsible for causing their wide adoption. In Fibonacci’s time calculations were done on counting boards, and the results were recorded as Roman numerals. Fibonacci’s use of Arabic numerals, which demonstrated the enormous simplification they afforded, attracted proponents as copies of the Liber Abaci circulated. Moveable­type print, introduced in the 1450s, standardized the form of Arabic numerals, which therefore look today nearly the same as they did 500 years ago. However, opposition to change was strong, and common use of Arabic numerals had to wait until the sixteenth century. The zero symbol was likely the most difficult aspect of the system for people to accept, as it had no traditional counterpart. The Liber Abaci was used as a standard textbook of arithmetic, algebra, and geometry for two centuries after its publication. However, mathematics fell into academic disrepute in Europe during that time, so Fibonacci’s work was largely disregarded. In the sixteenth century, the work of several mathematicians revived Fibonacci’s achievements. 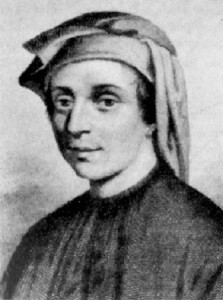 Nicolo Tartaglia, Girolamo Cardano, and Raphael Bombelli, all of Italy, were encouraged by Fibonacci’s writing to work on problems in algebra. The Fibonacci sequence, so named by French number theorist Edouard Lucas in the nineteenth century, was important in drawing attention to the study of series. With several curious mathematical properties, the Fibonacci sequence pointed the way toward using series to approach approximations of quantities and to construct cryptographic codes.